Here it is! My third annual Healthy Holidays Gift Guide for 2012! I’m really proud of myself because the last two years I didn’t publish this until about two weeks before Christmas. But this year I am on the ball! So if you’re looking for some great gift ideas, here are some health products we love and most of which we use EVERY SINGLE DAY. Some of them are new discoveries for 2012 and some are old favorites that have stood the test of time. Add them to your wish list or give them to someone you care about. The Big Berkey! It removes bacteria, cysts, parasites, and toxic chemicals like chlorine to levels higher than 99.99%, without removing essential minerals. Plus the fluoride/arsenic filter reduces 95% of fluoride to less than 50ppb. The Big Berkey is portable, requires no power or water pressure, and will even filter pond water. Get this: the two filters inside will purify 6000 gallons of water before needing replacement. If you drink 10 gallons of water a week, the filters will last over 11 years at a cost of only 1.7 cents per gallon! Totally awesome to have in an emergency like Katrina or Sandy. We even took ours on vacation with us this year. Ok we don’t use this next one every day, but while I’m on survival and disaster preparedness, one of my favorite gifts that I’ve received in recent years was the Survival Seed Bank. It comes with 22 varieties of open-pollinated heirloom seeds in a water proof container that even can be buried for up to 20 years. There’s enough seed to plant a full acre crisis garden that can produce thousands of pounds of food. Also included are detailed growing instructions for each variety and how to harvest the seed stock for the following year. Having this little ” food insurance” has really given me some peace of mind about our worst case scenario plan. Hope I never have to use it! Is there anyone in the world that doesn’t love to take long, hot, steamy showers? Taking long hot showers exposes you to more toxic chemicals than actually drinking 2 liters of the same water! This is because toxins evaporate out of the water and are inhaled into your lungs, and they are also absorbed through your skin. Chlorine alone has been linked to allergies, Chronic Fatigue Syndrome, heart disease, strokes, cancer, and even premature aging of your skin. The Showerwise Shower Filter removes 95% of chlorine as well as iron, lead, mercury, hydrogen sulfide, etc. It also inhibits bacterial, fungal and mildew growth. I never thought my shower steam had an “odor” until I installed our Showerwise filter. I noticed right away that the chlorine odor (and who knows what else) was gone. It comes with a massaging shower head and the Chlorgon KDF-55 filter typically last 12-18 months. Detoxify, regenerate, and rebalance your skin, naturally. Despite all the label claims, there are very few truly natural, non-toxic, chemical-free skin care lines on the market today. Spa Technologies is one of my wife Micah’s favorite brands. All of their products are formulated with essential oils, botanicals, seaweed, and algae harvested off the coast of Brittany and Iceland. If you didn’t know, seaweed is nature’s storehouse of minerals, trace elements, and natural antioxidants. All products are phosphate and paraben free with no artificial fragrances, chemicals, or preservatives. Micah especially loves the Hydrating Vitamin C &E Complex and I use the Organic Revitalizing Sea Cleanse to wash my face and shave with every day. I love Dr. Bronner’s Organic Soaps. They use a combination of organic extra virgin coconut, olive, jojoba and hemp oils, together with pure essential oils to create a unique soap that cleans effectively without being aggressive and produces a velvety-lather that leaves your skin silky-smooth and refreshed. The liquid soap has 18 uses. You can use it to wash your hair and skin, clean your house, wash clothes and even brush your teeth with it! (Yes I have) Plus the bottles are covered with all kinds of poems, proverbs, and random quotes for shower reading fun. The peppermint soap is my fave because it leaves my skin all tingly and pepperminty. Obviously we’re very particular about the water we drink in our house, and we like to take it with us wherever we go, but plastic water bottles make our water taste plasticky and metal bottles make it taste metallic. Sooo…. Micah and I both use the Lifefactory Glass Bottle ($15). This is a BPA-free, soda lime glass bottle with a silicone sleeve that’s easy to grip and helps protect against breakage. They come in lots of sizes and colors, and they even make kids cups and baby bottles! Here’s mine, and our cat. Since we’re on the glass theme, you should know that metal tea kettles leach heavy metals and metallic taste into your tea when they’re exposed to high heat. If you’re familiar with this blog you may know that I recommend the Joyce Chen Ceramic Tea Kettle. Note: It doesn’t whistle, so you better keep an eye on it, or set a timer. In The Beautiful Truth ($15) Steve Kroschel and his 15 year old son Garrett embark on a cross-country road trip to investigate The Gerson Therapy and the link between diet and a cure for cancer. They meet with scientists, doctors and cancer survivors who reveal how it is in the best interest of the multi-billion dollar medical industry to dismiss the notion of alternative and natural cures. This is a great documentary to have in your library. I recommend sharing it with anyone you know who is diagnosed with cancer. Juicing is the best way to quickly extract massive amounts of nutrients from vegetables and fruit and get them into your body. The Champion Juicer is my favorite. 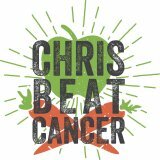 I drank eight glasses of veggie juice every day as part of my anti-cancer diet, but you don’t have to drink that much. Even just one glass per day will do you lots of good. Make sure you get the one with the commercial motor. (That’s what we did.) The Champion Juicer is super easy to clean and has been in our kitchen working like a “Champ” since 2004. The one health book I recommend more than any other is The Maker’s Diet. Don’t let the name fool you. It’s not a weight-loss book. Like the cover says, it’s a 40-day health experience that will change your life forever (and help you lose weight if you need to). This is one of my favorite books on health, nutrition, and natural living I’ve ever read, and trust me I’ve read a lot! Plus you can often find this book used on Amazon for 1 cent. If you don’t have a Vita-Mix 5200 yet, this is a great time to ask for one! This is the single most versatile kitchen appliance on the planet. It comes with 400 recipes for smoothies, blended veggie juice, nut butters, soups, salsa, guacamole, healthy ice cream, even how to churn fresh butter and mill whole grains. It’s also Consumer Reports’ highest rated blender! They give you a 30 day free trial and a 7 year warranty. And it comes in red, white, black and stainless. We have a red one and it also travels with us. Accoding to the EPA, the air in your house may be up to 5 times more polluted than the air outside AND we spend approximately 90% of our time indoors! Indoor air pollution is caused by mold, viruses, dust mites, bacteria, pet dander and the outgassing of chemicals from furniture, paint, carpet, cleaning supplies, candles, air fresheners…yep pretty much everything in your house. We’ve had an Oreck Air Purifier cleaning the air in our house since 2004. It works great it’s easy to clean, and the filter parts are easy to find and replace. Our first one lasted over 8 years and we replaced it with the updated model shown above. It has three settings: high, low and silent mode. We like the white noise of the low setting at night while we sleep. Especially great for folks with allergies and asthma. Did you know that cell phone microwave radiation penetrates two inches into an adult skull? And research has shown that heavy cell phone users have a high risk of developing a brain tumor on the same side of their head that they use the phone. Yikes! One obvious solution is to not put the phone up to your head. But even if you use earbuds or a bluetooth headset you are still exposing your brain to harmful Electro Magnetic Frequencies. You can protect yourself from cell phone radiation and EMFs with the RF3 ENVi Air Tube Headset. These are similar to normal ear buds except that the speaker is in a bead and the sound waves travel into your ear naturally through a 4″ long air tube. Note: there is another product on the market called the “blue tube” headset. I’ve owned it and don’t recommend it. The Envi is much better quality. Rebounding is a great low impact aerobic excercise and the most effective way to stimulate your lymphatic system, which is a critical part of your immune system. I did this several times a day as part of my anti-cancer strategy; and my wife used rebounding workout dvds to lose weight and get back in shape after Marin was born. It’s really fun and it works! I wrote a big ol’ post about it here. The Rebound-Air Quarter Fold is the one we have. It’s super high quality, folds up for easy storage, and it is the only brand with a Lifetime Warranty. It’s been featured on the Today Show and is even used on The Biggest Loser campus. There are a lot of different rebounders on the market from $99-$299. I’m partial to Rebound-Air, but Cellerciser, Needak, Jumpsport and Bellicon are also quality brands. Having a hard time resisting junk food and making healthy choices? Food, Inc. ($14) is a must-see documentary about the food industry. Don’t worry, it’s not like a gross-out PETA video, but there is some very surprising and powerful information that will motivate you make healthy choices. Most of us have no idea where our food comes from and what’s in it. This is a great one to show to friends and family. They’ll never look at dinner the same way again. « Penny Heals Stage 4 Pancreatic Cancer Naturally!